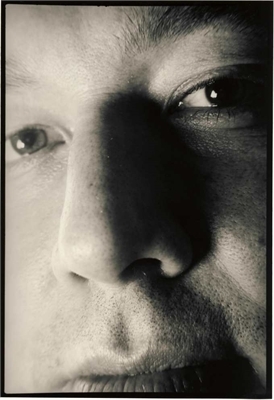 Today, on what would have been Bill’s 55th birthday, photographer, musician and former lead singer and guitarist with indie rock band Six by Seven Chris Olley shares with Bill Hicks Forever his story of having met Bill in the early 1990s. Chris recalls his special memories of having met and photographed Bill prior to his untimely passing in 1994. His poignant photographs of Bill can be viewed in their full glory on our accompanying special gallery page. 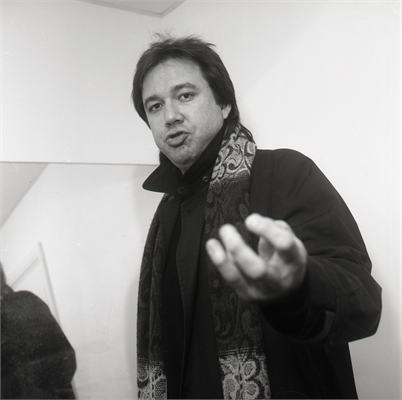 I first saw Bill Hicks when I was at college in my first year in 1991. I was doing a degree in photography and had aspirations to become a music journalist photographer. I had gotten myself in with the entertainments society in college and the secretary, Bill Redhead, gave me access to photograph all the bands and events that happened in the student union. He saw I was serious and I showed him my portfolio from art college which included pictures of The Wedding Present and The Mission, both Leeds bands (where I was at college) and I had also just had my first picture published in The Melody Maker which was a big national weekly music magazine at the time. A few months later Bill returned to do another show. This time I wanted to meet him and get some portraits backstage. I prepared my medium format camera and went into the dressing room a couple of days before and did some tests with my flash gun pointed to the ceiling so I would get perfect lighting. When Bill came I had my Access All Areas pass and told the secretary what I was going to do. Normally he would have walked down to the dressing room with me and introduced me but on this occasion he just left me to it. I spent more than the next hour in that room with Bill just chatting about everything from having bad shows to gun crime to smoking and most of all music. 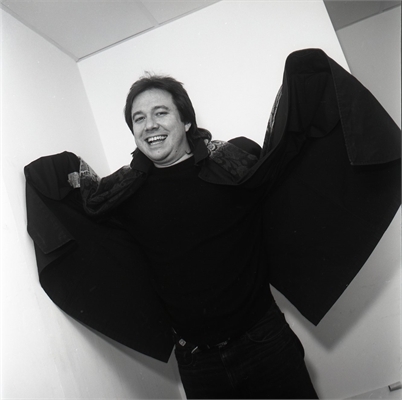 He jumped around the room flapping his coat pretending to be Dracula because the Gary Oldman film had just come out. He was pissed off that his mates in America had seen it but he hadn’t because he was on tour in England and it wasn’t out here yet. I chatted with Bill as if I had known him all my life and I think he liked me. He asked me to send him the pictures I was taking. I photographed him through a magnifying glass (something I was experimenting with at the time) and he was intrigued about what the pictures would look like. He was up for anything and trying out different poses. He even put his hand in his pocket and gave me all the change he had to put towards the postage. He wrote his address in LA down on a piece of paper and told me to send them soon as he was: “Moving to the relative safety of New York, I’m sick of the drive-bys”. He also told me that he had been asked to present his own talk show by Channel 4 which is a major national UK TV station and that he loved England and the people here. One thing I vividly remember was talking to him about quitting smoking. 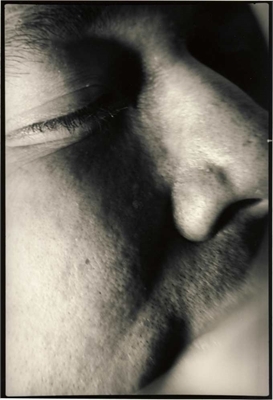 When I had seen him before he smoked on stage a lot and used it as part of his act. This time around he had given up and I asked him why he had chosen to do so and how the hell he had managed to do it. He told me that he couldn’t do this job and tour like he was if he was smoking and he also told me about nicotine patches, which sounded mad to me as they didn’t exist yet in this country. Seeing the look of bewilderment on my face, he asked his driver to go out to the car and get them to show me. When he returned he had a briefcase and he opened it up and I was amazed to see it crammed full of tablets and medication and vitamins. It was literally a mobile pharmacy! Anyway, there was a knock on the door and it was Bill Redhead the entertainments secretary. I’d been with Bill for well over an hour and he was coming down to get me out of there. It wasn’t like that though, the time just flew with Bill and we had such a great time talking. He signed some pictures for me, the ones I had taken of him at the previous gig and he wrote “…thanks Chris”. It’s my most treasured possession and hangs on my studio wall next to my Neil Young set list. After I developed the film and printed the pictures I kept my word and sent them to Bill. I also sent him a card which had a picture of a cowboy shooting the head off a tulip on it and a quotation underneath saying..’Tex’s tulip tolerance was extremely low that day” ….something like that. I spent ages walking around town trying to find the perfect card for him. I also thanked him for letting me take the pictures and how pleased I was to have met him. A couple of weeks later, I was shocked to get a letter back from him thanking me for the pictures and saying he thought the magnifying glass shots were amazing and he also thanked me for making him look like some ‘has been’ rock star in the other shots. He said he thought he looked like Randy Bachman. He was taking the piss. I still haven’t got over him dying. I think about it all the time. When his book came out 4 people bought me it for Christmas. I took three copies back to the shop and I still can’t bring myself to read the one I kept. I never did anything with the pictures I took of him, I just didn’t want to. Rykodisc tracked me down and asked if they could use them for an anthology they were doing but I refused to let them. I can’t bear to think about the second Gulf War and the second Bush administration and what we missed out on. I never believed in God but after Bill died I just couldn’t understand why something like that would happen and what comedy magic and truths we were deprived of. This is evidence that there can be no God, no God would allow this to happen I thought. Look at the world we live in now! Everything that has happened in this world since he died was tailor made for him to turn into comedy. A few years ago I sat my son down and showed him Bill Hicks and told him that this was not comedy, rather a truth finding exercise and a lesson in how stupid the world is. There is still no comedian who comes close. Back when I saw him, he was at his peak and he played to 500 students and that was about as good as it got for Bill. Now there are much lesser comedians filling out Arenas. It’s so sad to think about what was lying ahead of him and that it was just taken away. The only consolation is that at least we had him but he’s been gone so long now that other generations don’t even know what they missed out on. A couple of years after leaving college my band got a major record deal and we made albums and travelled around the world. 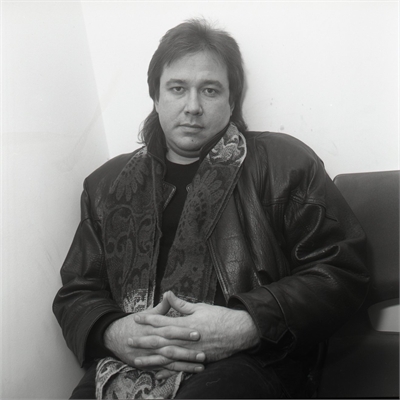 I met many famous and interesting people but I never met anyone who I was more proud to have said I had met and talked to than Bill Hicks.